“What to do to Keep Writing Even if You Think You Don’t Feel Like Writing”: Guest Post by John Howell #Amwriting #author | Sally Ember, Ed.D. 05/27/2015 by Sally Ember, Ed.D. Suffer from writer’s block (which today’s guest blogger declares NON-EXISTENT)? Lack inspiration? Find it difficult to keep to a schedule, a word count goal, a deadline? One of my guests on CHANGES conversations between authors (see below for more info about our Episode), John Howell, offer tips, advice, humor and more to help you out of your slump! Welcome to my “Guest Bloggers Hall of Fame”, John! I am very grateful for the guest spot on Sally Ember’s blog. Thank you, Sally, for having me today. I had originally wanted to do some humorous stuff about life, liberty, and the pursuit of happiness. However, as I thought about being a guest of Sally Ember, Ed.D, I had some second thoughts. After all, Sally’s blog is a source of all kinds of interesting information as well as a place to visit to learn new things. Stand-up comedy may be more of a fit over at my dump. I should explain why I chose the subject I did choose. I have been asked, since becoming a full-time writer, about the most important piece of advice I could give a new writer. My answer always includes the advice to keep writing. Just last week I was being interviewed and the question came up again. I gave my answer. Then, after the interview, I thought about what I would say to someone wanting to become a writer but not knowing how to keep writing. I decided right there and then to put some hints down on paper. This post is the result of taking the time to detail some strategies that may be helpful to encourage a person to keep writing. So here goes. …establish a routine that includes writing something. This routine, by necessity, has to include other parts of the person’s life as well. It does a writer no good to commit simply to writing and meanwhile ignore all the other things that make a life a life. These other things include eating, sleeping, socializing and whatever work one has to do. It also includes those things that being part of the family dictate. When I first started writing, I would do jobs around the house in the morning and then turn to writing after lunch. One of the problems with this routine is there are so many things that can get in the way of the writing. Things getting in the way is especially true if the writing is difficult or the scene a little unclear. So, I changed my routine. I gave writing the top priority and once a minimum amount accomplished, I would be available for other parts of living. I am suggesting that new writers only commit to writing a low level of word count or page count. As a writer progresses, the count will go up during the same amount of time. I currently write one thousand words each day. After that, I am free to do other things or keep writing. …do not show others any work that is not finished. Work includes full manuscripts, short stories, and poems. The quickest way to stop writing is to succumb to well-meaning criticism before the work is complete. Once you complete a piece of work, you can show it to anyone you wish and collect all the comments meant to improve the product. Trying this prior to finish is a completion-killer. …do not recognize the phantom phenomena called writer’s block. There is no such thing. There may be a lapse in creativity, but as far as blocked is concerned, a writer should not give themselves the excuse of explaining the lack of writing as writers block. When I feel stuck on a story line, I write a short story. In this way, I am still writing and keeping the creative mind open. I find that the story will cause me to think of a solution. I have had some short stories become part of the manuscript, since the story solved whatever the issue was in the first place. …vary the medium. Do this by creating a blog, guest posting on other’s sites, entering contests and writing book reviews. These are just a few of the things that can be done to keep the writing assignment fresh and interesting. Simply working on a novel day after day can cause the creativity to dry up: the writer will find they are going through the motions as opposed to bringing the passion and creativity needed for the task. …don’t pay any attention to query rejections. The only message in a rejection is the piece did not fit what was going on with the reader at the time of the rejection. It could be that the one who is rejecting the work couldn’t face reading one more thing that day and didn’t take enough time. They could have awakened on the wrong side of the bed or quit drinking coffee for some unknown reason. The point is, when a writer gets a rejection, it does not mean to stop writing. It is just a rejection; heaven knows, we all have received a lot of those. …find a way to reward yourself for accomplishing your daily quota of writing. It can be as simple as relaxing with a TV show or book. The important thing is that the writer is giving the writer permission to recognize themselves for a job well done. When I finish the week with my word quota achieved, I take some time on the veranda with a margarita. It’s not for everyone, but is my way of telling me I’ve done a good job for the week. By the way, there is no other person on the Earth who will give writers kudos for doing what the writer loves to do. If a writer does not love what they do, they should find something else to occupy the time. To summarize, Keep on writing, no matter what. John W. Howell was held captive for over forty years by organized commerce. In 2012, he was finally released to begin writing full-time. 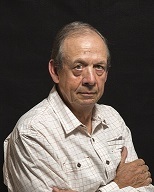 His novel, <em>My GRL</em>, has been published by Martin Sisters Publishing and is the first of a <strong><em>John J. Cannon</em></strong> trilogy. The second is now with the publisher and the third in the final editing stage. In addition, John has also finished another novel not in the series which is being queried. John lives with his wife and rescue pets on a barrier island off the coast of South Texas. 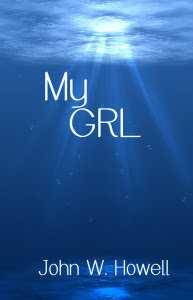 My GRL is a fiction thriller telling the story of John J. Cannon, a successful San Francisco lawyer, who takes a leave of absence from the firm and buys a boat he names My GRL. John is unaware that his boat has been targeted by a terrorist group to be used to destroy a symbol of America’s greatness. John’s first inkling of trouble occurs when he wakes up in the hospital and learns he was found unconscious next to the body of the woman who first sold him the boat. John now is the only one standing between the terrorists and the success of their mission. This entry was posted in Blogging and others' content, Writing and tagged Blogs, Guest posts, John W. Howell Author, Novels, Queries, Rejection, Reward, Routine, Sally Ember Ed.D Author, Tips to keep writing, Variety, Writers' Block, writing. Bookmark the permalink. I have no problem with writers block. I have so much built up inside me i want to release. Right now i have 1 novel released “Pachuco” historical fiction and 1 releasing June 19, “The Rise and Fall of Our Youth” self help. I currently have 11/2 novel wrote on a romance series called “Lone Wolf” and jotting information down for another romance novel that i have in line after Lone Wolf. Oh did i say i have plans to write a self help on marriage. The problem i have is trying to find time to write because i am finding out promoting and keeping up with a web presence consumes so much of your writing time. So true, Weldon: we have to protect our writing time. You are most welcome, Marieann, and thanks for visiting! Good luck with your writing! Thanks for visiting again and you are most welcome! Thanks, Teagan! Stay off the edge! Great advice John, I did enjoy My GRL by the way as I winged my way round the world…..I like the idea of rewarding oneself too…..as he takes another can of coke from the fridge….. Thanks for visiting and commenting….And lay off the coke! Hi Sally, thanks for the follow. You don’t know my sister do you? She says similar things about my drinking habits. If I know her, I don’t know I know her! Honored to be a guest of Sally Embers on her Blog today. She has a very interesting site. The honor is all mine, John! Thank you so much for the guest post, Sally. It is always a pleasure visiting you. Thanks to YOU, John! It’s very popular!